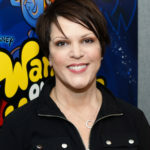 April Winchell is an American voice actress, actress, comedian, writer, talk radio host and commentator. As of 1996, she is the official voice of Clarabelle Cow in the Disney franchise.Winchell is the daughter of Paul Winchell. "Like every aspect of cancer I’ve weathered thus far, today’s experience was not at all demoralizing, expensive or humiliating. No, it was just plain fun." "I am severely distracted these days. It’s hard to sit in front of the computer, uploading bad music for hours, when you have a wonderful boyfriend who treats you like a Goddess." "I wish you a tolerable Thursday. That’s all any of us can hope for." "I remember lying down for a nap one day at about 4:00 and walking up at 11:00 the next morning."